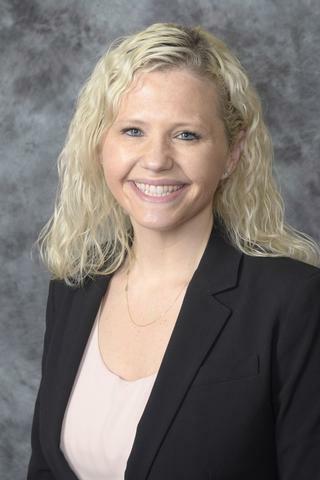 Erin Masaba, M.D. joins UR Medicine's Strong Fertility Center after completing a fellowship in Reproductive Endocrinology and Infertility at Weill Cornell Medical College in NY, NY, one of the best IVF centers in the country. Dr. Masaba completed her Obstetrics and Gynecology residency at Abington Memorial Hospital in Abington, PA. She received her medical degree at Upstate Medical University in Syracuse, NY. Dr. Masaba has been the recipient of prestigious awards and honors including the Innovator's Circle Grant for Research; Eleanor Dixon White award for manuscript; Deans Letter of Commendation for outstanding academic performance; Faculty-Student Association Scholarship and Reed Scholarship. Dr. Masaba is a member of the Society for Reproductive Endocrinology and Infertility, New York Reproductive Society, American Congress of Obstetricians and Gynecologists – Junior Fellow and American Society for Reproductive Medicine. Dr. Masaba brings her wealth of experience to Strong Fertility Center and has special interests in helping couples with recurrent pregnancy loss and implantation failure in IVF. Masaba EM; Hoeger KM. "Menstrual Abnormalities and Management in Polycystic Ovary Syndrome". World Clin Obstet Gynecol. 2017;5(1):9-22. 2017; . Murphy EM; Pereira N; Melnick AP; Spandorfer SD. "Spontaneous bilateral torsion of fallopian tubes presenting as primary infertility". Womens Health. 2016; : 297-301. Melnick, AP; Pereira N; Murphy EM; Rosenwaks Z; Spandorfer SD. "How low is too low? Cycle day 28 estradiol levels and pregnancy outcomes". Fertility and Sterility. 2016; : 905-909.